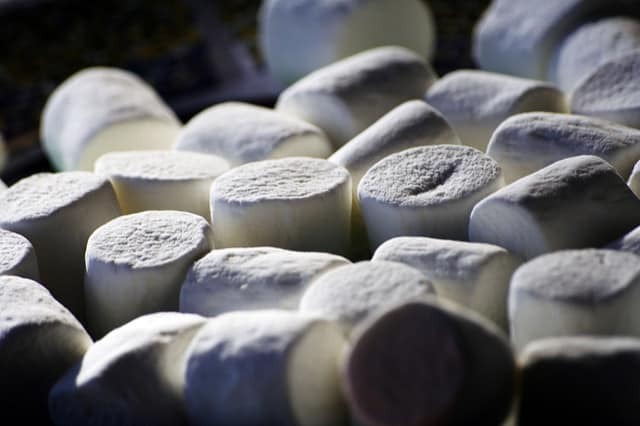 Home Emotional Eating	What Can Marshmallows Teach You About Will Power? Not a Damn Thing. The marshmallow test is a widely-circulated, super-simple study. Put a marshmallow in front of a child. Tell them that, if they can last fifteen minutes in the room with the marshmallow without eating it, they’ll get a second one. Some children succeed, some children fail. The marshmallow test, in all its incarnations, proves something that I believed a long time ago: self-control, the ability to overlook instant gratification and complete the task at hand, the understanding that delayed gratification is, in fact, far sweeter… these things are not innate. They are learned. Many of us learned it at a far younger age than others, but it isn’t genetic… hence the “nature and nurture” argument. What I didn’t consider is this: if will power can be learned, then there are also other components of decision making that are learned, too. Like, for instance, a potential fear of scarcity—that second marshmallow never actually coming. I’ve asked this question on the blog, before. Why am I re-hashing all this? In other words, some of us truly do grow up learning an inability to wait. That perpetual feeling of scarcity—the idea that there might never be a second marshmallow—perhaps because maybe the money wasn’t consistent enough or maybe there were too many siblings and they’d get to it before you ever could—results in you never learning that it’s okay to wait. Instead, the waiting causes a sense of anxiety that turns into a pull that can only be alleviated by eating that marshmallow. Human behavior exists on a loop, and that loop is approved by our brains based on how the behavior makes us feel. You learn to continue things that feel good, and stop things that feel bad. You don’t repeatedly put your hand in an open fire because it doesn’t feel good to you. You learn to avoid the fire, and that behavior operates on a loop for you—whenever you see fire, you avoid it. The inverse is the same for things you enjoy—you learn that it’s good based on the dopamine it causes to flood your brain, and so you gravitate towards it when those feel-good hormones are low. But, if we target that specifically, we can change the way people make decisions and, by extension, the trajectory of their health.